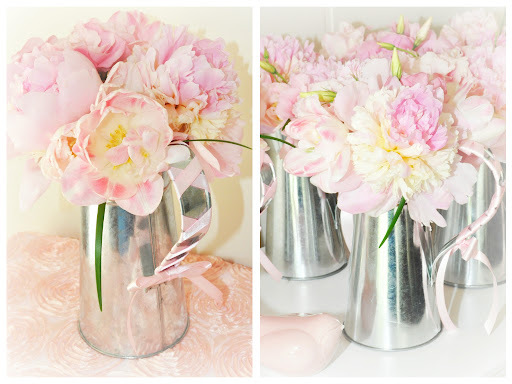 I purchased these lovely galvanized tin pitchers from Michael's a couple weeks ago for a baby shower luncheon I'm hosting tomorrow. 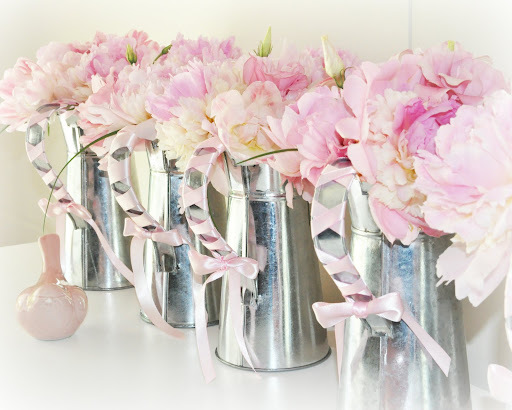 After obsessing over peonies all week, I thought it would only be fitting to add them to the arrangements I was making; so I headed to the Flower Mart in Los Angeles early this morning to find the perfect shade of baby pink peonies, aren't they just beautiful! I am all about the look of galvanized metal elements. Love the laced ribbon touch!